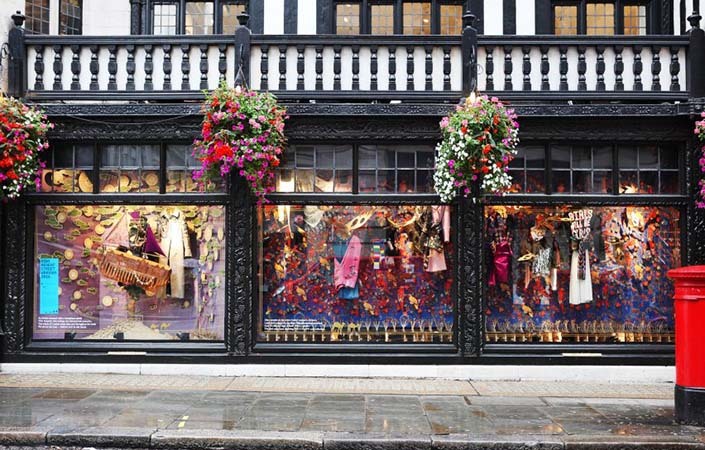 Liberty’s of London, recently hosted an exclusive in-store party to launch the Royal Institute of British Architects (RIBA) Regent Street Windows 2016. Held at the famous Regent street department store, the party celebrated the work of 10 ground breaking RIBA architects who had joined forces with some of London’s most prestigious businesses to create a series of spectacular window displays along London’s Regent Street. Liberty approached us to supply a number of our vintage leather sofas, to include our Bromsgrove and Richmond and armchairs including the Daniel and Viscount to create a relaxed Gentleman’s Lounge area for their party guests.